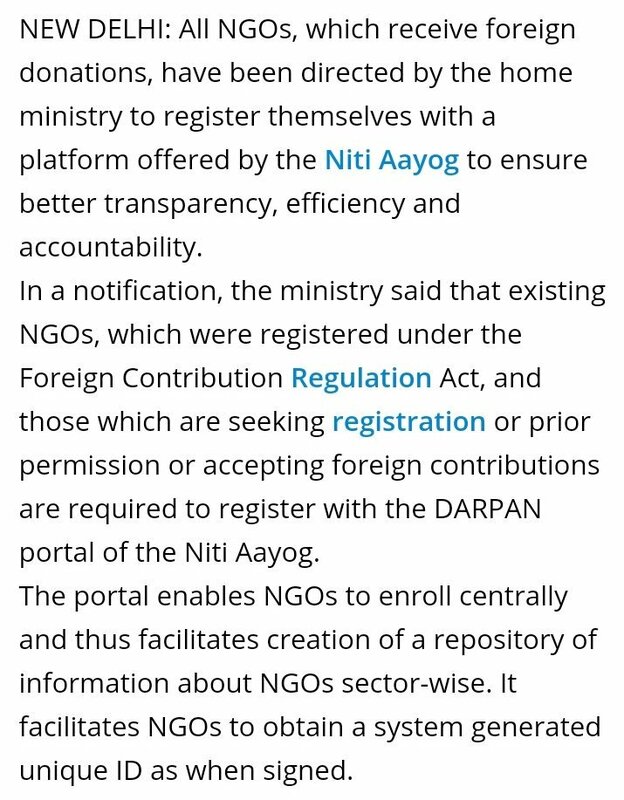 The NGO-DARPAN is a platform that provides space for interface between NGOs and key Government Ministries / Departments / Government Bodies, to start with. Later it is proposed to cover all Central Ministries / Departments / Government Bodies. The NGO-DARPAN started out as an initiative of the Prime Minister’s Office, to create and promote a healthy partnership between NGOs and the Government of India. The Portal is managed at present by NITI Aayog. This module has been developed by National Informatics Centre (NIC), the premier ICT Organisation of the Government of India under the aegis of Ministry of Electronics & Information Technology (MeitY) , Government of India.